Whether you're a celebrity or someone with something to hide, Facebook allows you to keep your "friends list" private so you can protect the identities of your Facebook friends. But it only kind of protects them. There's a simple Facebook hack that lets you unravel entire networks of people as you navigate around a user's "private" friends list. However, I must warn you, the easy way to do this will take a long time to complete, and the fastest way to do this requires a bit of programming knowledge. Sounds a little counterintuitive, I know. 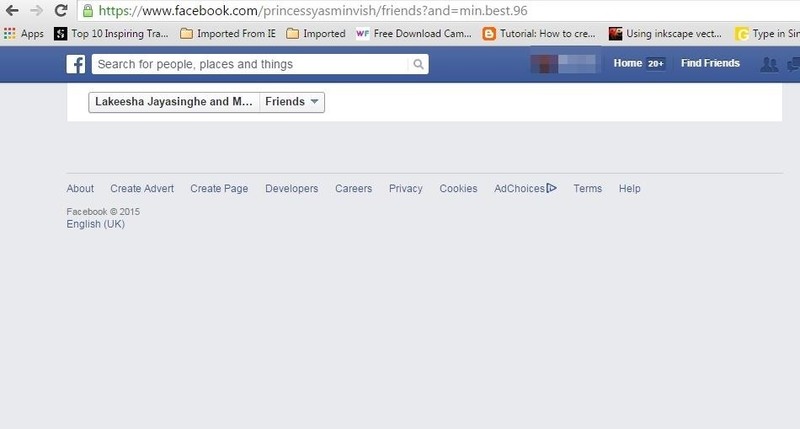 According to Facebook, every user gets to decide what is and isn't visible to their friends. 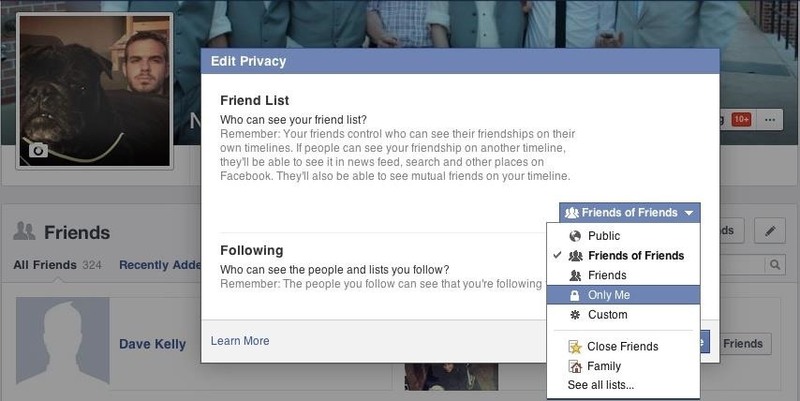 If you decide to make your friends list private, great. However, that doesn't mean that you are private on your friends' friends list. This workaround takes advantage of that fact. You basically unravel a private friends list by viewing that individual's mutual friendships with someone who doesn't have their list set to private. The most beautiful thing about this is that you don't even need to be friends with the person you're hacking. As you can imagine, a good number of high profile figures and celebrities have set their friends list to private. For our purposes, we'll use an easily accessible celebrity who we know has a personal Facebook account (and not just a "Page")... Mark Zuckerberg. Zuckerberg's friends list is set to private, and for good reason. However, to run this hack, we're going to need to find at least one friend of his who has a public friends list so that we can look at their mutual friends. 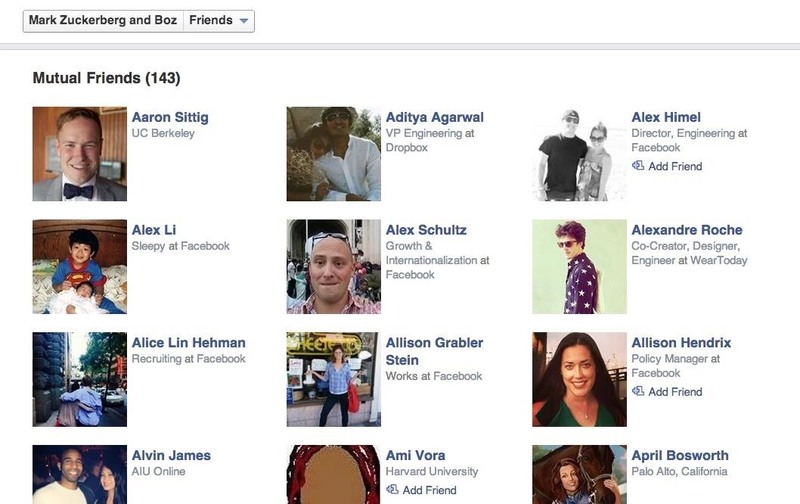 Using Facebook's Graph Search feature, we can type something in along the lines of "People who work at Facebook and live in Palo Alto, California," and then get a list of likely friends of Zuckerberg. Being the VP of Advertising & Pages at Facebook is important, so there's a good chance the user Andrew Bosworth is friends with Zuckerberg, and since his friends list is public, he makes a perfect candidate for our hack. 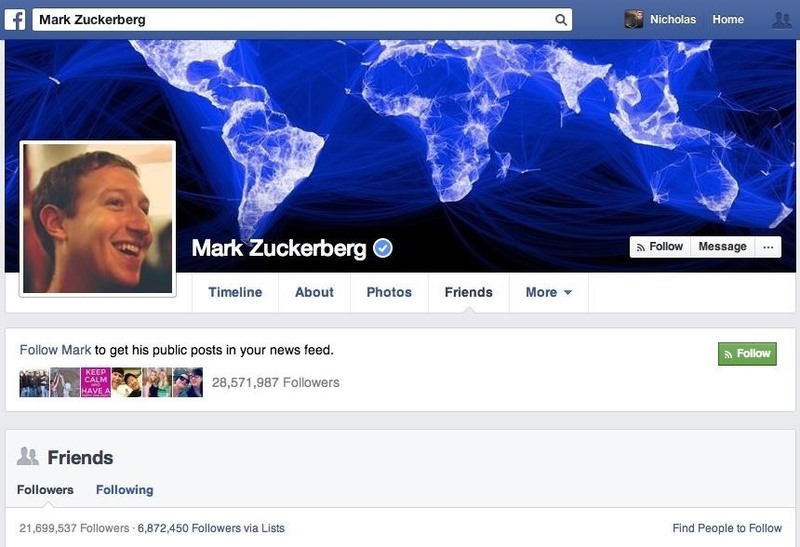 To verify Mark is his friend, just search his friends list. 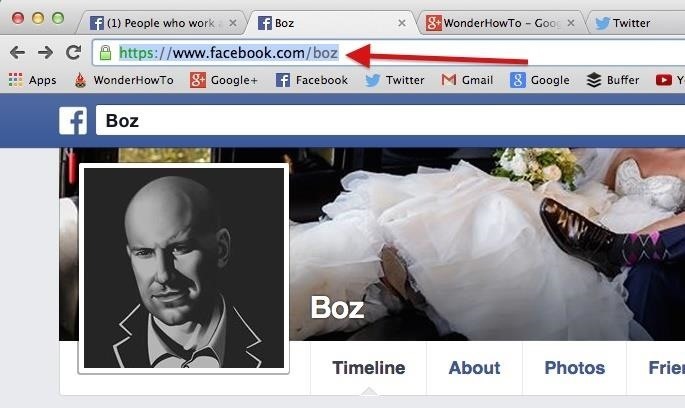 Account ID names can be found at the end of the URLs of their Facebook pages. 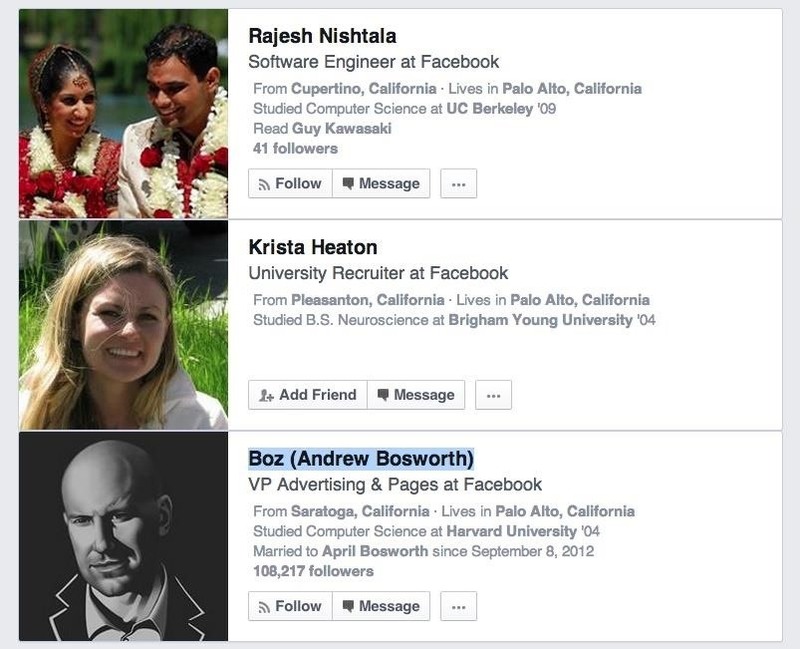 In this case, Zuckerberg's is "zuck," and Andrew Bosworth's is "boz". It appears that Zuck and Boz have 143 friends in common. That means we at least know 144 of Mark Zuckerberg's friends now. To unravel his entire list of friends, we will need to repeat Step 2 with any of these mutual friends, and then do it again with those mutual friends, and so on until infinity. CyberInt's Shay Priel has automated this whole process using his open-source code available on GitHub. Dubbed "Facebook Hidden Friend Crawler," the Python script is for educational purposes only and will weave through the individual's mutual friends, of mutual friends, of mutual friends, etc., until it compiles a complete list. Although it has only been tested on Ubuntu, feel free to run the program yourself if you're up for the challenge. Then, let us know the results!